If children are accustomed to watch television every day, then it is time for parents to be introspective and pay attention to what restrictions need to be considered. Television can shift the parents as the primary educators, this means television become the parent of your child and educates your children, even unfortunately ... can often lead them on a variety of things that are generally negative, it is because children do not quite understand everything about right and wrong, while something negative in the electronic media is often considered to be fun for children, so that negative things are easier to be imitated by them. - The media teaches what the parents have never teach yet. In age of globalization, anyone can access information about any wish. Unfortunately, children who do not understand the value of right and wrong can be stuck into the negative pleasure. - The media has more fun way of influencing than the parents who teach children with anger and annoying. - Media over more faithful to accompany the child than the parents who often busy even busied himself in his spare time. - Television media even on time in any appointments/scheduling, while parents often give false promises. 1. Limit children to watch television only a few hours per day, limit the children playing games such as only 3 times in a week. Make a written schedule attached to the wall and can be seen by all people in home, so that they can remind each other. Teach children to obey and consequences when breaking rules with sanctions in the form of a reduction in playing hours. Expected - you educate them more than other media in their mental affect. Make the more buzy with other physical activities, such as gardening, learning, sports, family games, and others. 2. locate a suitable television viewing schedule for children, as many cartoon movies that are not suitable for the child's mental development. 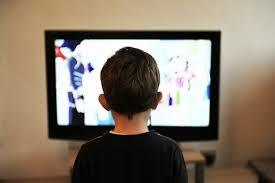 At any time, give direction to the child what is associated with an event that exists in the television show. Gradually, children will be able to distinguish even understand the television and the real world, and can take lessons from existing television shows. 3. How busy the parents, especially fathers should take the time for willing to play with their children, too many kids are whining asked his father to play with them, but fathers more often deny and fussing. As a result, the child will run in other media as their loyal friends, and the dangers are … the media is what ultimately more reliable, more enjoyable, and more easily imitated by them without knowing it is wrong or right.